When talking about web accessibility, it is often blind individuals with screen readers who come to mind. However, people with physical disabilities can also have trouble using the web when sites are not made with accessibility in mind. Here is an introduction to web accessibility for web users with physical disabilities. How Do People with Physical Disabilities Access the Web? In terms of accessibility, the those with physical disabilities can see and hear everything on a website. However, they may not be able to control the mouse very well or at all. 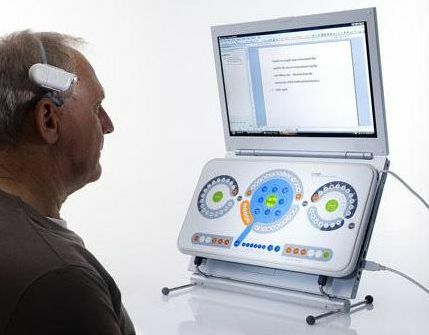 In order to operate a keyboard, the user may rely on adaptive technologies like mouth sticks, “Puff ‘n’ Sip” systems, voice controls, or eye-tracking software. Among these, mouth sticks are one of the most popular options because they are low-cost and easy to use. As the name implies, a mouth stick is a stick which is held in the mouth. The individual can then use the mouth stick to select commands or even manipulate a trackball mouse, depending on how much control he/she has. You can easily test how accessible your current website is for users with physical disabilities by trying to access it using a mouth stick. You’ll quickly realize that there are plenty of issues that can make your website very difficult and exhausting to use for these individuals. 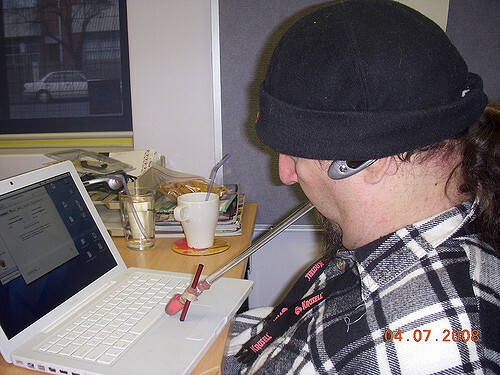 This image shows a man using "Puff n' Sip" adaptive technology to control a keyboard. This image shows a user using a Light Operated Mouse and Keyboard (LOMAK) to access the web. Someone with arthritis may have difficulty clicking on navigation links that are spaced very close together. Drop-down menus are particularly problematic. Bear in mind that people with motor disabilities often rely on keystrokes to navigate around the internet. If your navigation requires multiple clicks to get to pertinent information, it will be very annoying and possibly even tiring for people using adaptive technologies like mouth sticks. 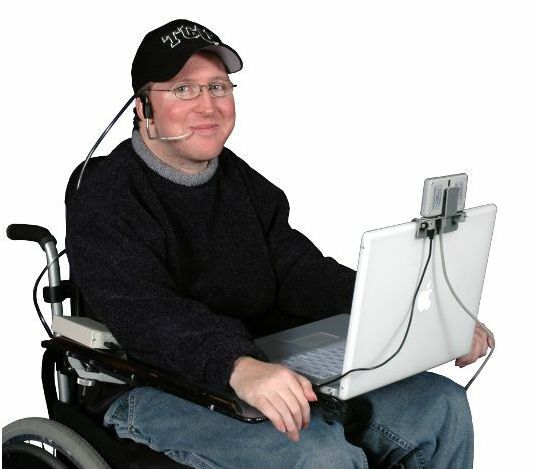 Some individuals with disabilities are not able to use a mouse and rely on keyboard commands to use the internet. Even with the help of adaptive technologies, it can still take users with disabilities longer to fill in forms on websites. If these are time-limited, there should be an override option. You can still use pop-ups on your website. However, be sure that they can easily be closed with keyboard commands and also that the close button is easy to hit with a cursor. Want to improve your web accessibility? Monsido can help! Find out about Monsido's web accessibility features here.